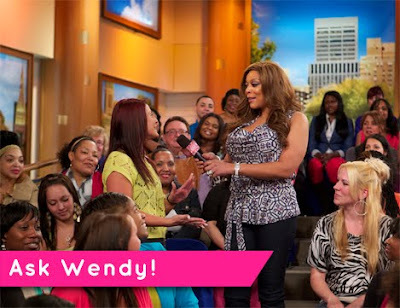 Today on the show before doing the "Ask Wendy" segment she announced that she is working on writing an "Ask Wendy" book. She is welcoming questions from viewers regarding anything, but mostly relationships. If you have a question you'd like to ask her for the book, ask it here!